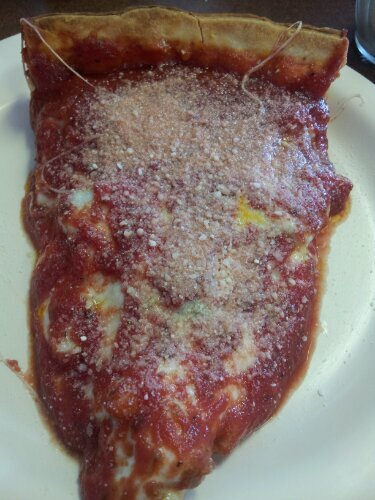 I have already reviewed Danny’s Pizza once, here. We had sandwiches that time, though. So, of course, we had to go back to have the pizza. Brian already knew that if we were going to have a deep dish pizza, it was easier to call ahead and order before we left the house. 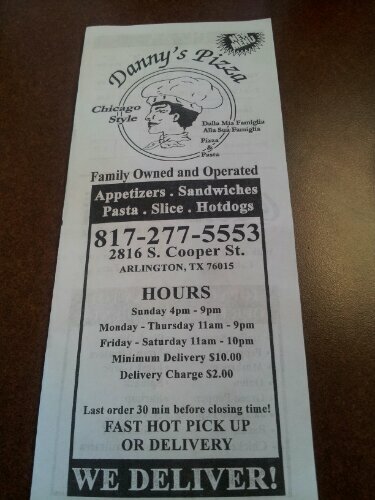 It takes 45 minutes to cook, call ahead! We arrived just before it was ready, Danny gives you a specific time. So we had a few minutes to settle the bill and get our drinks before it was brought to the table. Totally piping hot. 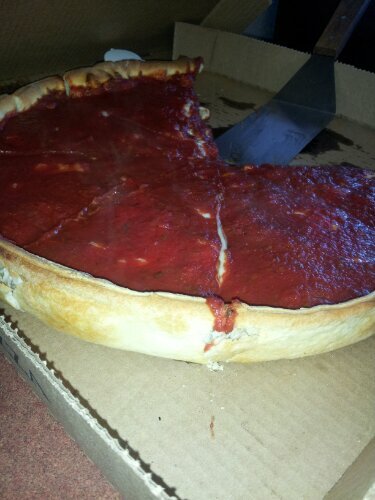 I have never had Chicago style deep dish before, so. The whole pizza was new for me. Brian, has been to Chicago and had their pizza, he says it is the real deal, outside of Chicago. Back to the pizza, it was loaded with meat, we opted for the meat lover’s pizza and it delivered. The cheese was amazing and there was lots of it. The sauce was perfectly seasoned, although I scraped most of it off, for personal reasons*. The crust, perfectly browned. All in all, it was a good pizza. Brian can’t wait to go back for thin crust pizza, our favorite type of pizza. *I have acid reflux and mostly forget to take my medicine for it. Typically, I eat pizza like a normal person, however since the top was covered in sauce, I was able to scrape it off to avoid feeling sick later. This entry was posted in dining out, opinionated Eater. Bookmark the permalink.